Here we have this Steepletone Rico Retro Turntable in B-Stock. The B-Stock versions would have been on display at a training evening or trade exhibition only and will come boxed 'as new' with all accessories and a 1-year warranty. 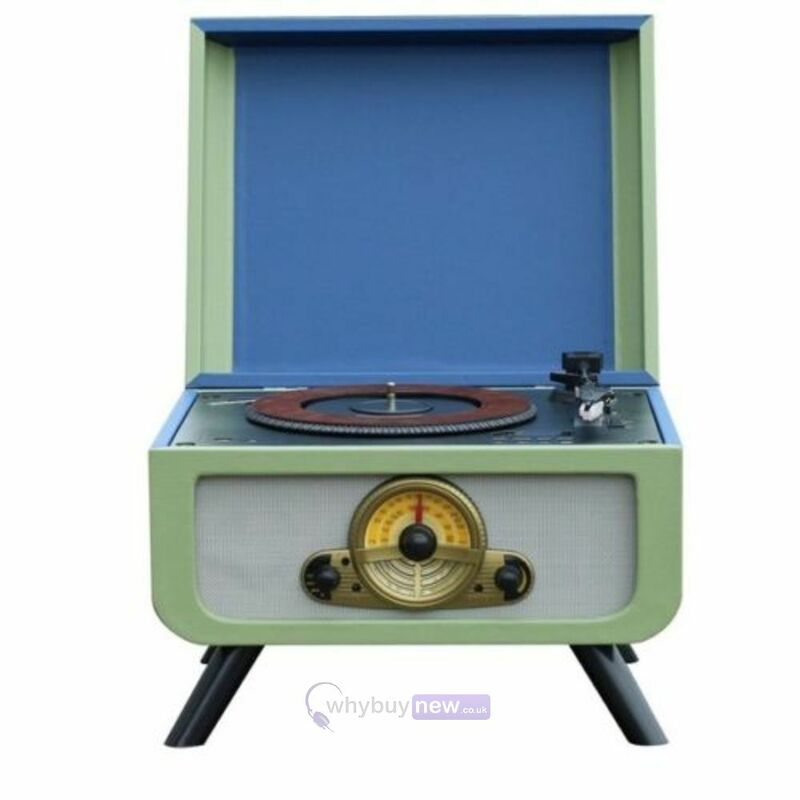 The Steepletone Rico Retro Turntable is a 60's retro style turntable on legs that features a built-in integral CD Player. 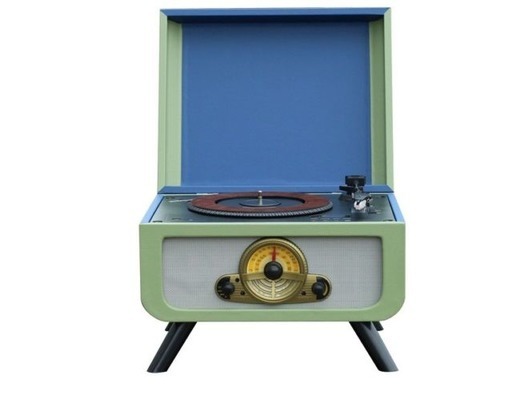 The turntable features 3 speeds (33/45/78 rpm) so you can play your old vinyl records no matter what rpm they are. The CD player has been designed in a special way, press the central turntable platter and it will open to expose the hidden CD deck, which really looks very cool. The top loading CD player plays CD, WMA, MP3, CD-R and CD-RW discs. As well as a CD player it also comes with a radio tuner so you can tune in to your favourite FM radio stations in no time. Available in 2 different and unique colours this Steepletone Rico Retro Turntable is really a great all-in-one music system! Press the central turntable platter and it will open to expose the hidden CD deck! - Cool!